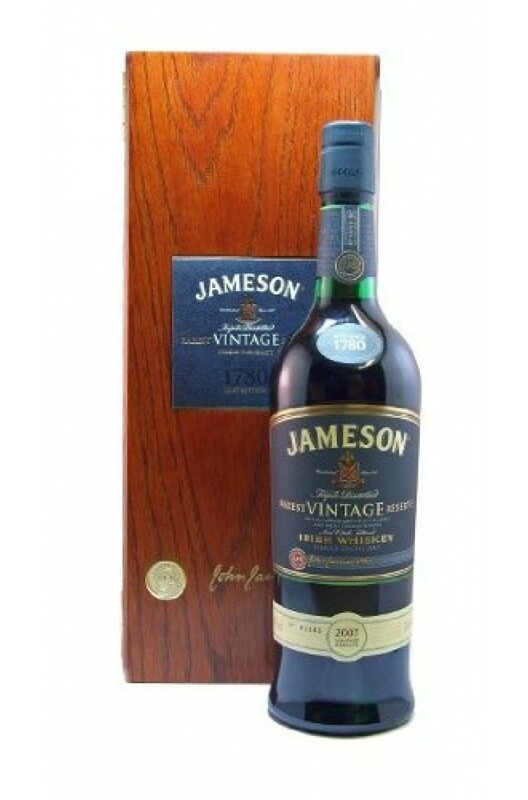 An early bottling of the Jameson Vintage Reserve. This is a very special blend that draws its components from some of the oldest whiskeys available in the warehouses at Midleton. At its core is a generous amount of old pot still with some very old grain, but what sets it apart is probably the portion matured in a sweet, raisiny port pipe. This is a highly complex, fruity, spicy and sweet tasting blend and must rank as one of the best Irish whiskeys currently available. A rare treat.